There are few things more painful than watching the Bard being mangled, so I approach fringe interpretations with wariness. You can tell in the first couple of minutes whether the night's going to be a hit or a hash: whether the dialogue is delivered as a clumsy word salad or with rhythm, grace and emotion? The Ronseal-titled Hamlet Peckham quickly establishes itself as the latter. Staged in the CLF Theatre, tucked away deep in the bowels of the labyrinthine Bussey Building, this is a sleekly minimalist Elsinore. Performed on a largely bare stage in monochromatic costumes, the design accentuates Hamlet's totemic elements: a bed, a dagger, a set of rapier, a cup of poison and poor Yorick's skull. 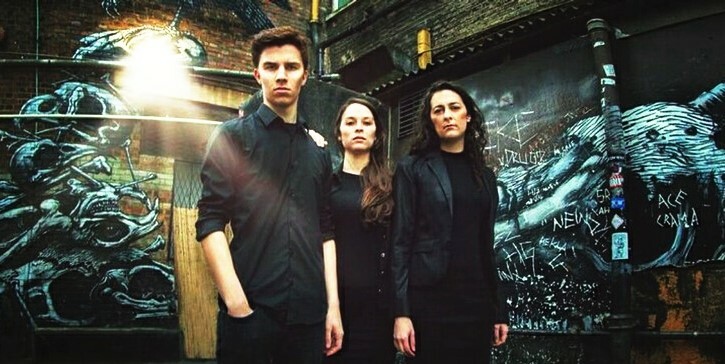 The show's USP is that you get three Hamlets for the price of one, divided (as per the programme) into "the problem, the plan and the solution". It's an eyebrow-raising decision - casting one effective Hamlet is a tricky proposition, let alone three of them. Impressively, Hamlet Peckham manages it with the trio Sharon Singh, Max Calandrew and Izabella Urbanowicz. The rest of the cast are uniformly excellent, with particular praise going to Gil Sutherland's amusingly blithe Polonius. Sutherland pitches Polonius' oblivious analysis of Hamlet 's madness perfectly, successfully being both funny and touchingly paternal towards Ophelia. Diana Gómez's intensely vulnerable Ophelia also impresses. She crumbles almost before our eyes, inexorably heading before suicide. I've seen a whole bunch of other Hamlets where, in less-talented hands, Ophelia simply looks pathetic. Gómez captures the pathos in her misery, particularly when Hamlet psychologically steamrolls over her his "get thee to a nunnery!" routine. But the big question behind this production is whether the triple Hamlet gambit pays off. I have mixed feelings. On one hand, the thinking behind it is sound: "it is a metaphor that we can perhaps all relate to. Maybe we all have something that we need to do that something keeps us from doing". Also, it's interesting to contrast the three different approaches to the role. Common to them all is a simmering violence, but each has their own take on his mania, ranging from a realistic teenage tetchiness right through to a grim death-wish. Thing is, by the end I found myself wishing I'd been able to see one of these actors perform the part in full. My favourite of the three was final Hamlet Izabella Urbanowicz; she had this wild fire in her eyes and whipcrack tensile tautness to her body language. She spat out the dialogue with machine-gun anger, that collapsed into remorse. I know this tale inside and out, yet her final moments really hit me in a way that few Hamlets (or any other Shakespearian characters for that matter) ever have. On top of this, Hamlet Peckham is, to it's detriment, obsessed with audience participation. Hamlet asks the front row "To be?" and waits for someone to respond "Or not to be. ", the grave digger Shanghais someone in the audience into helping shift scenery and a volunteer even gets a minor part (with lines!). It's a brave choice from the company (especially the last one), but they're essentially gimmicks. Distracting gimmicks at that. As this production is concerned with democratising Hamlet the audience participation bumph theoretically makes sense. Yet the entire reason the play is considered Shakespeare's masterpiece is because it's already completely, thoroughly and totally relatable and accessible to audiences. We don't need to literally become involved in the action to get it. It's frustrating: 90% of Hamlet Peckham is the best Hamlet I've seen in years. If they'd played things a bit straighter and toned down the gimmickry it'd have been a rare five star review. As it is, it falls tantalisingly short of excellence. It's still really really really good though. 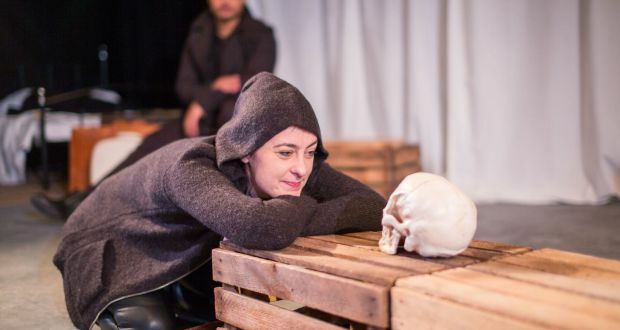 Hamlet Peckham is at the Bussey Building until 27 February. Tickets here.